Create some crochet gloves with fingers – what an ingenious idea! Crochet Gloves with - how ingenious! Follow the step-by-step instructions to create your own pair of EasyFit Fingered Gloves! 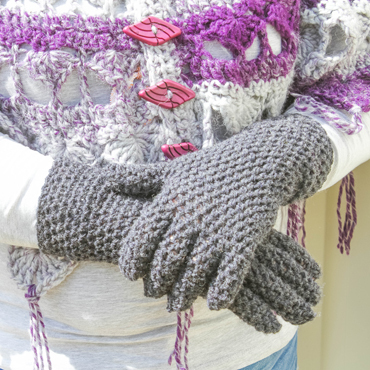 The EasyFit Fingered Gloves Crochet Pattern has been tested by independent crocheters (some of their amateur photos are in the gallery). EasyFit Fingered Gloves Crochet Pattern is downloadable in either standard American or UK/AU terms with step-by-step instructions and photos to help guide your hook to completion.